Are Foot Fractures An Early Indicator of Osteoporosis? Osteoporosis affects over 28 million Americans and accounts for 1.5 million bone fractures a year, according to the American Academy of Orthopaedic Surgeons. This notorious bone-thinning disease often sneaks up on people like a ninja. There are usually no symptoms until a bone is broken. So whenever we see patients over the age of 50 suffering from stress fractures, we take special care to see if osteoporosis might be a factor. Have You Been Shrugging Off Other Early Symptoms? Osteoporosis weakens the bones so much that basic weight-bearing activities like walking can cause the bones in the foot to break when there has been no obvious cause for injury. Early signs might include increased pain while walking, as well as redness and swelling on the top of the foot. Most people just shrug these signs off and assume they will pass. Yet, early intervention can make all the difference in treatment. Could I Have Caused My Bones To Weaken? Only about 20% of osteoporosis is driven by lifestyle factors, says the University of Washington in Seattle. That means 80% is related to genetics. Smoking, a sedentary lifestyle, alcohol, nutrition, and medication are all contributing factors. If you are concerned about osteoporosis, you should: walk every day, take in 1,200 mg of calcium a day, 800 to 1,000 units of vitamin D a day, avoid smoking, keep your alcohol consumption to 2 drinks or fewer per day, and avoid excessive dieting. Medications like aluminum-containing antacids, antiseizure medicines, chemo drugs, heparin, lithium, proton pump inhibitors, steroids, Tamoxifen, and thyroid hormones can all cause a weakening of bone density. Here at The Center for Podiatric Care and Sports Medicine, we can run a bone densitometry test to measure calcium and mineral levels in the bones using a low-dose x-ray. 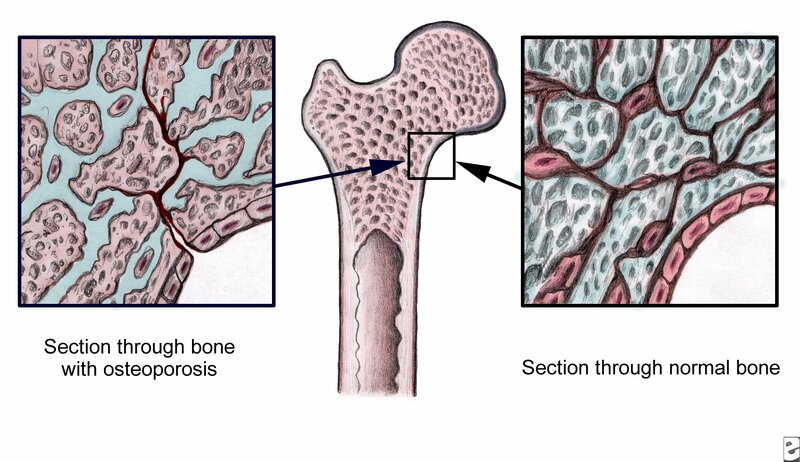 We can run a DEXA scan (Dual X-ray Absorptiometry) to gauge a person’s fracture risk or a QCT scan (Quantitative Computed Tomography). Blood test markers for the hereditary component of osteoporosis can also be present. Once the diagnosis has been made, it’s important to wear shoes with support and cushioning — like athletic runners — to get the best shock absorption. Custom orthotics are also recommended. There are many different ways to manage the pain, says the National Osteoporosis Foundation. Advil or Tylenol can take the edge off, as can ice or heat therapy, acupuncture, relaxation techniques, and massage. In our NYC office, we also have a Transcutaneous Electric Nerve Stimulation (TENS) unit that reduces pain using electrical impulses; so give us a call to see what we can do to help.